Modelling is my passion and posing is always one thing I like to do. 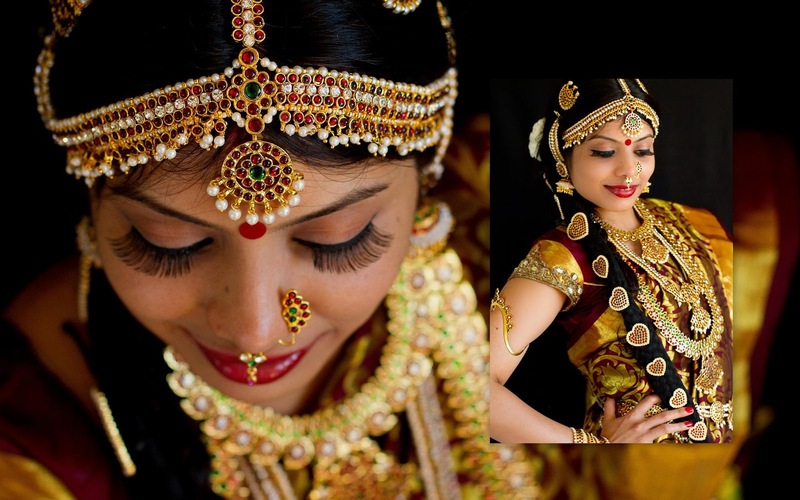 After trying the traditional Bengali bride look, I wanted to try the South Indian Bridal look. I am attracted to the jewelry ads. During childhood I used to dream about endorsing a jewelry brand. 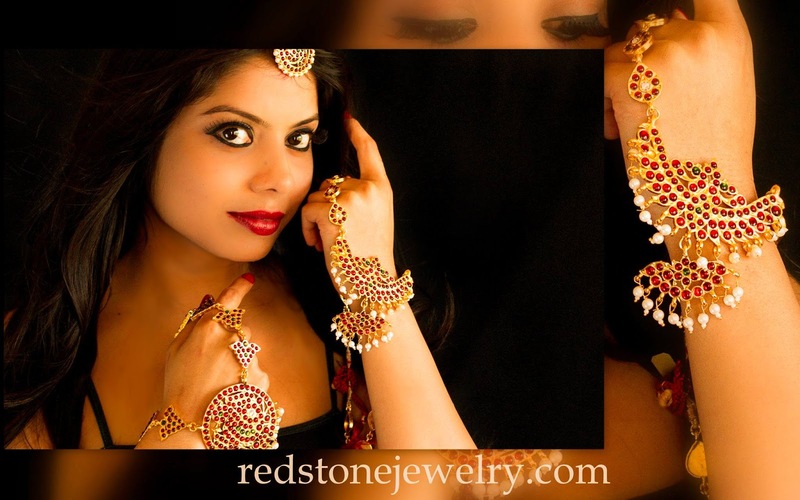 Thanks to Archana Srinivasan I got an opportunity to model for her exclusive collection of Redstone Jewelry. We tried different looks and played around with the jewelry. One of the best click which I will always cherish is the bridal look. I got a chance to wear my traditional silk saree and wore all the bridal jewelry collection. The nose ring, the bangles. the long hair with hair accessories, the different layers of jewelry and of course my favorite hair accessories made me look beautiful. Its very rare that we get a chance to get dressed up as a bride after marriage. I was basking in joy of the look and the jewelry. It made me feel like a queen. I was in no mood to get back to my normal clothes after the shoot. I keep telling my hubby that I would love to get married again and again for the bridal look. I want to try all the different bridal looks of the world :).